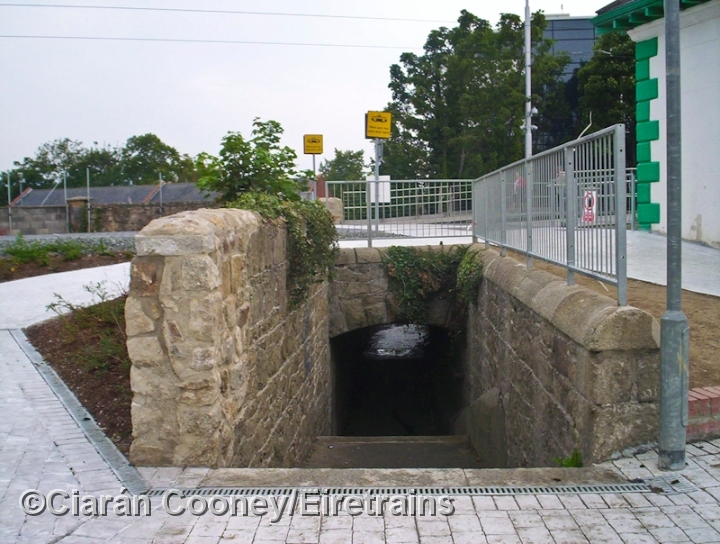 Dundrum, in the southern suburbs of Dublin was first served by rail in 1854 when the Dublin & Wicklow Railway built their main line from Bray. 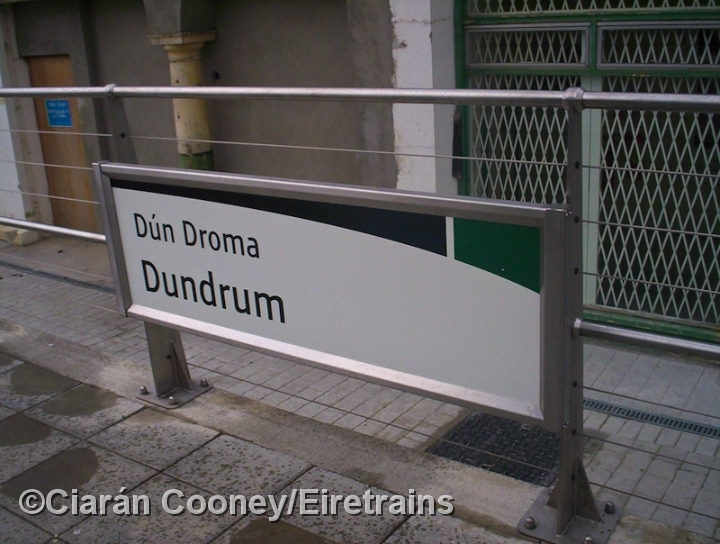 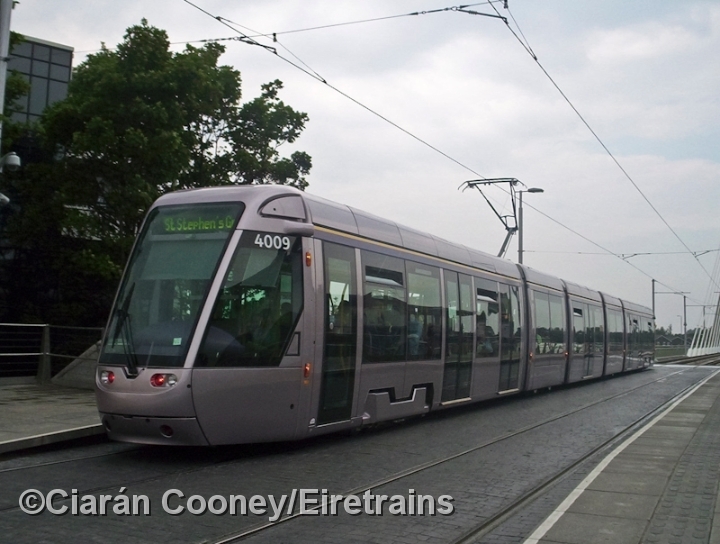 Dundrum became a terminus of the line until it was extended north to Harcourt Street in 1858. 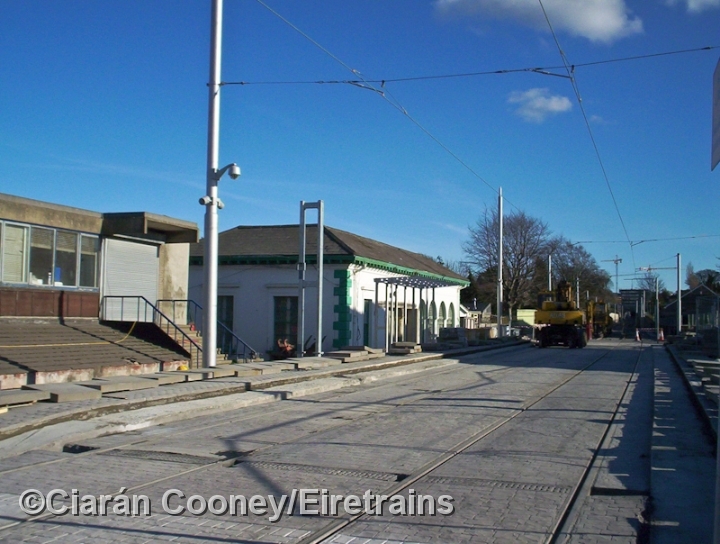 The Harcourt Street line was closed in December 1958 by CIE, just a few years before the small village of Dundrum and others on the line were to mushroom in suburban growth out from Dublin City centre. 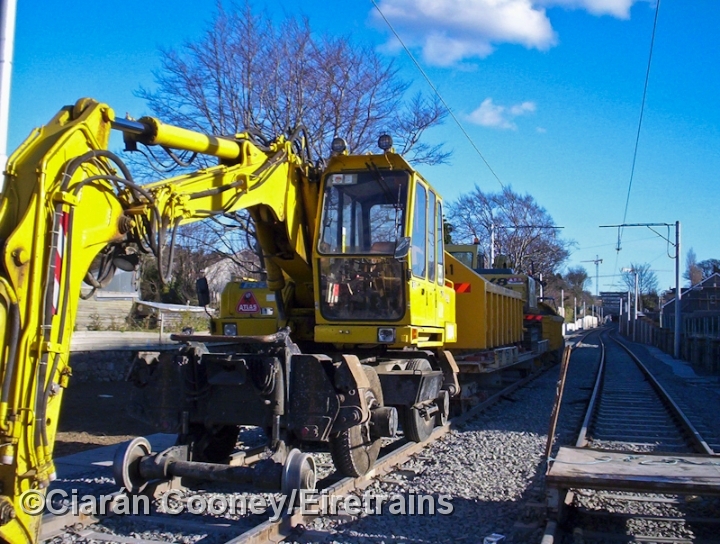 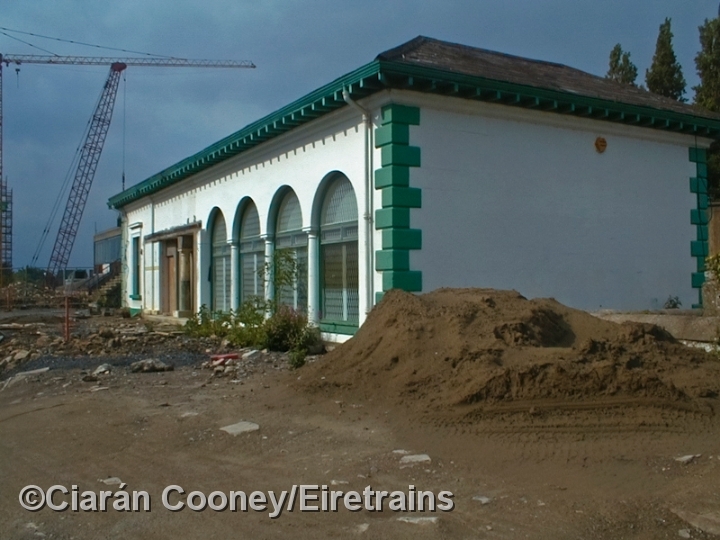 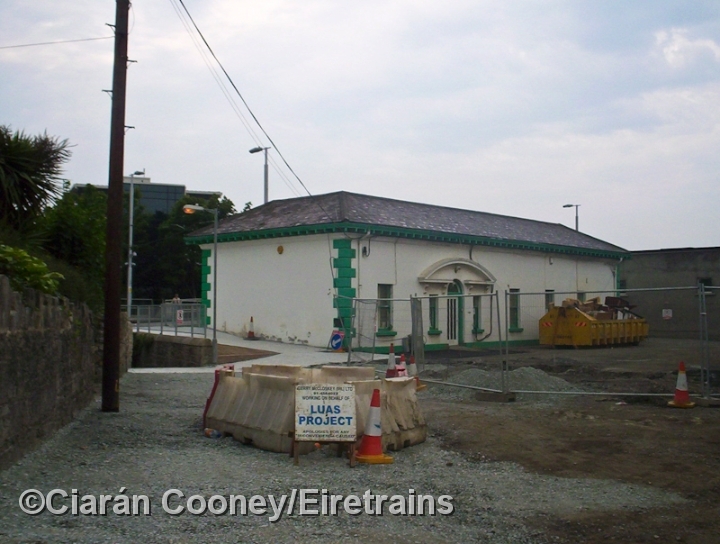 The Harcourt St line trackbed remained intact however, and in 2004 the line was partly reopened from Harcourt St to Stillorgan in the form of Luas Line B. Whilst the original platforms and station buildings at Dundrum were demolished after closure, the main original D&WR station building survived closure and was preserved during the Luas line building, it is now a Cafe. 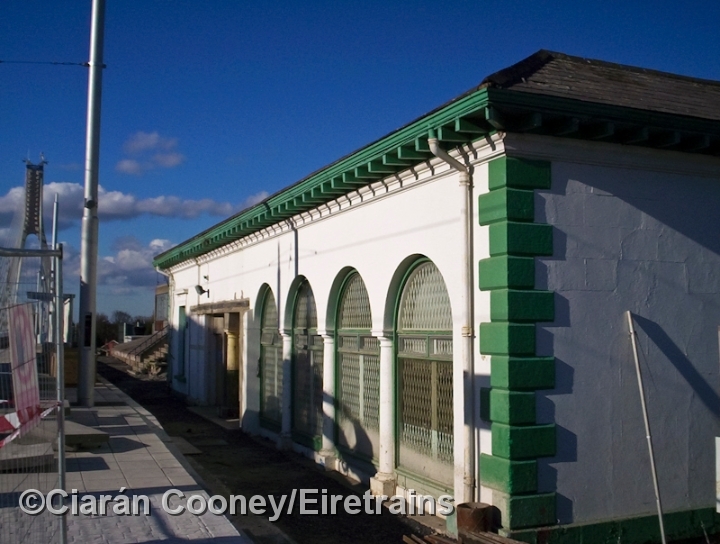 It is single storey, with glazed arches on the railway side and retains much of its D&WR architecture. 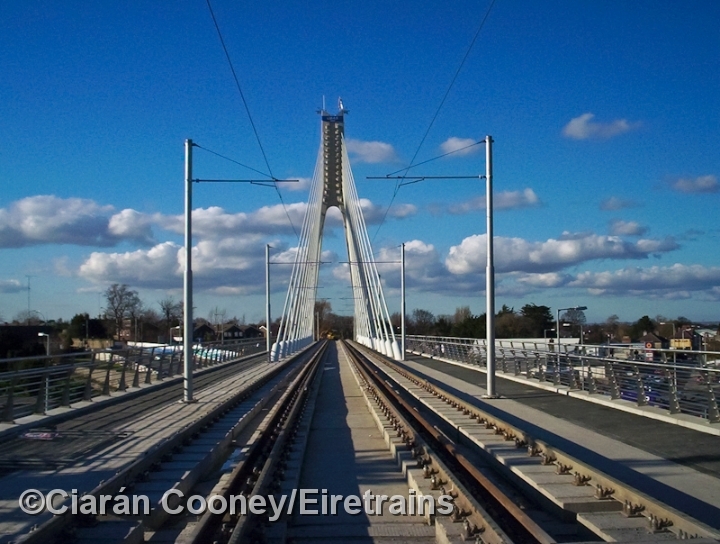 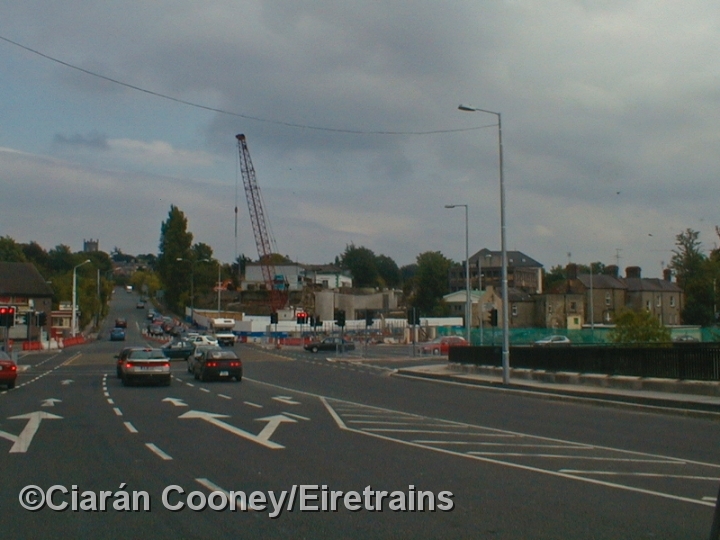 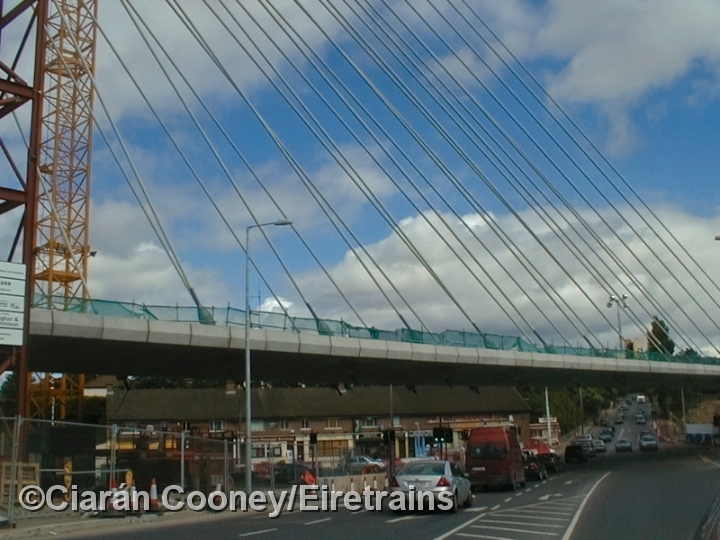 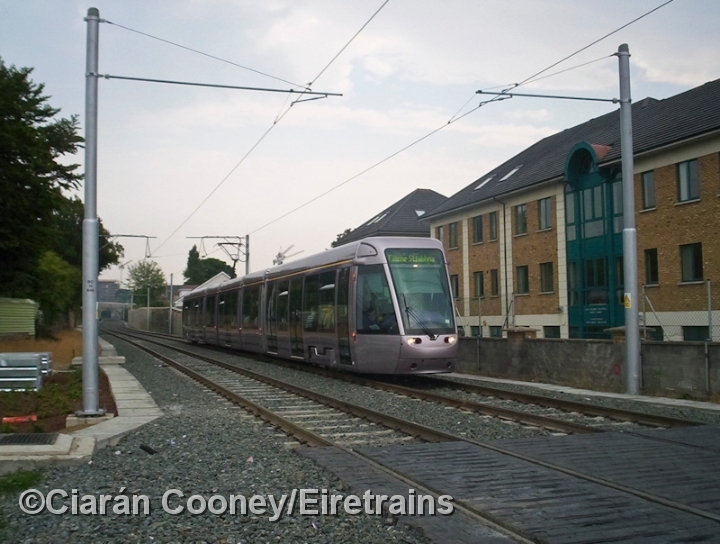 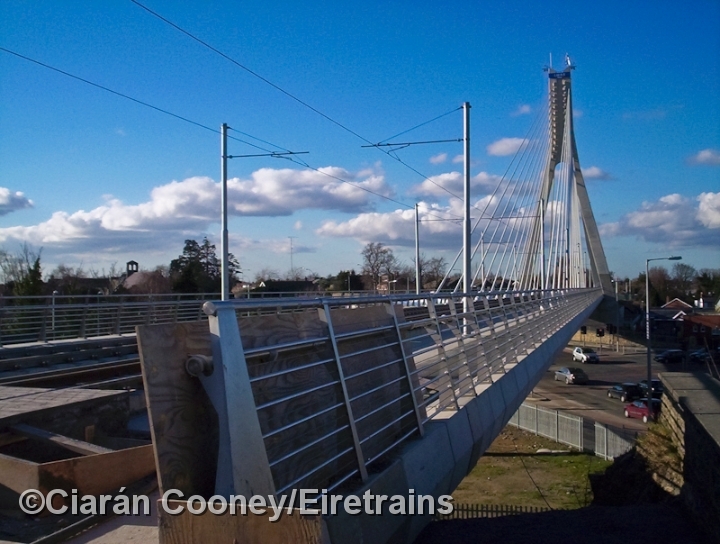 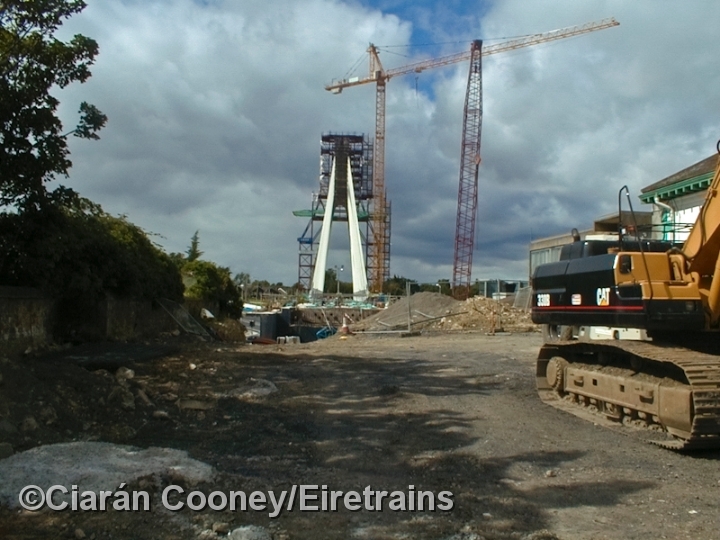 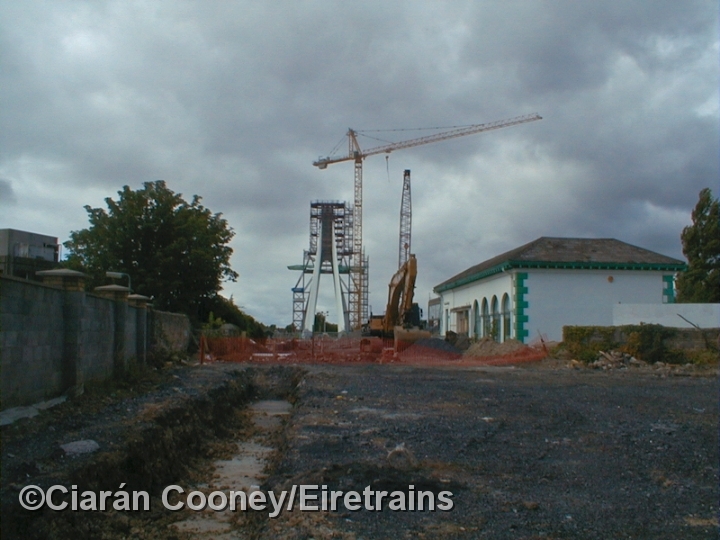 The original rail overbridge just north of the station across Dundrum village had long since been demolished, and now the Taney Road suspension bridge carries the Luas line over it. 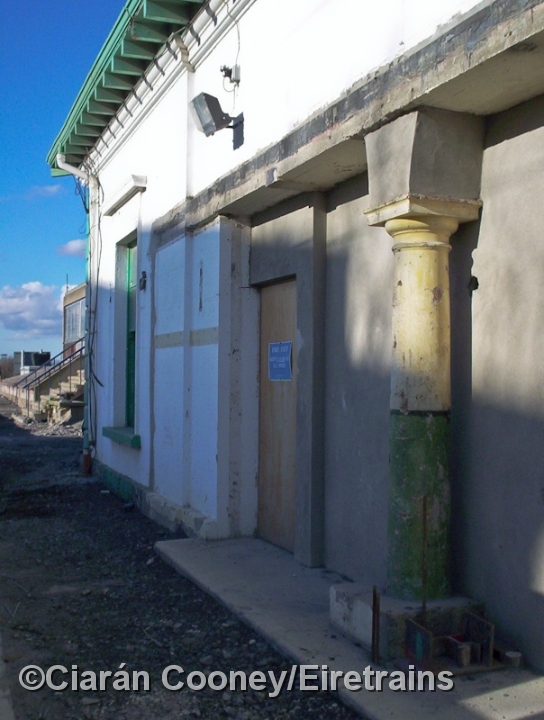 In railway days the station had a crossover and siding at the Bray end, and the signal cabin was on the up side of the line.